One of the most important selling vehicle for your restaurant is the Restaurant Menu as it determines what food items and how much your restaurant customers are going to order. In other words, how well is your profitability will depend on how well can you present your food and drink items on the menu. It is an strategic selling tool for your restaurant business. Therefore, getting a menu design should not be an afterthought. A well-planned and designed restaurant menu can help to set the impression of your restaurant while a user-friendly food menu allows customers to browse through the categories quickly and easily without constant bugging the waiters for questions. In order to help your restaurant to sell effectively, we have customized a special restaurant menu design packages for your convenience. Please note that the packages only consist of designing only; printing is not included. 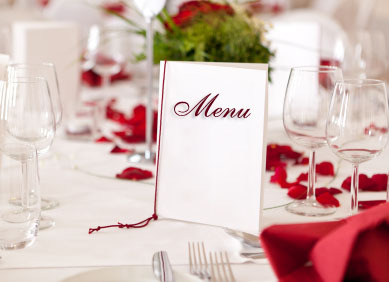 You are also welcome to contact us if you need customized menu. Food Images are to be provided by Customer and in Good Quality. Customer must have the Copyright Ownership of Images before they are being used in Menu Design. Generic Food Images can be purchased at Stock Images Library if no food images are available. Food Photography can be arranged for Specialized or Exotic Food Images.